I initially thought it was a kind of orb weaver. 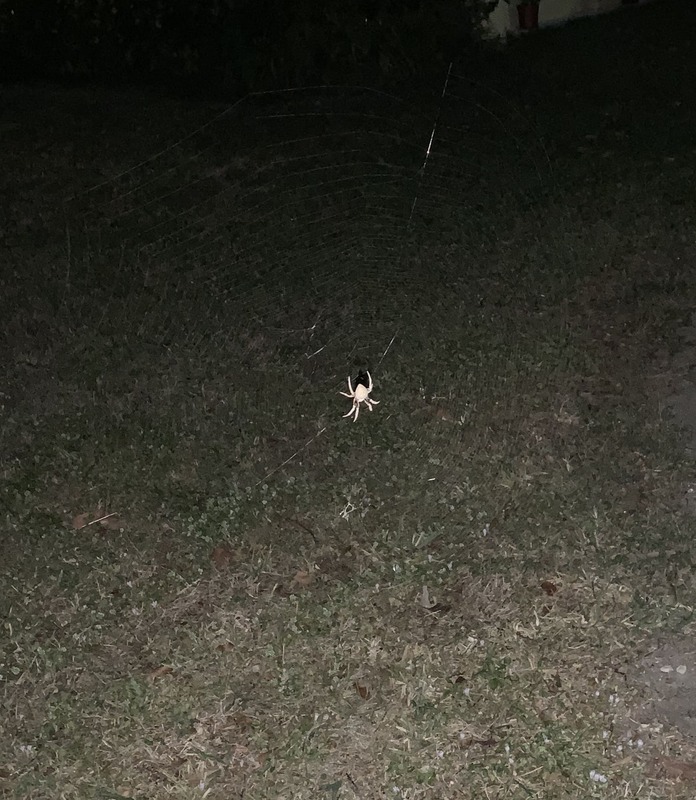 It’s a huge spider, and it has a beautiful web that I almost walked into looking for my dog at night. I went out the next morning and the spider and web are packed up and gone. I’ll look for her again tonight. I have no idea what kind of spider she is, she’s pure white.